"Reel them in, hit them with delicious content and push them to your online property" is how Skift.com recently summarized a successful Twitter experiment by the Louisiana Office of Tourism this winter. The paid campaign converted historically slower months into a social media boon. 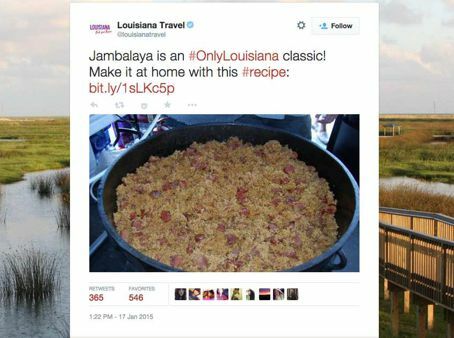 From November 2014 to January 2015, Louisiana Travel's use of six Twitter products recruited 23,500 new followers and produced a 2,593 percent increase in Twitter-referred website traffic. 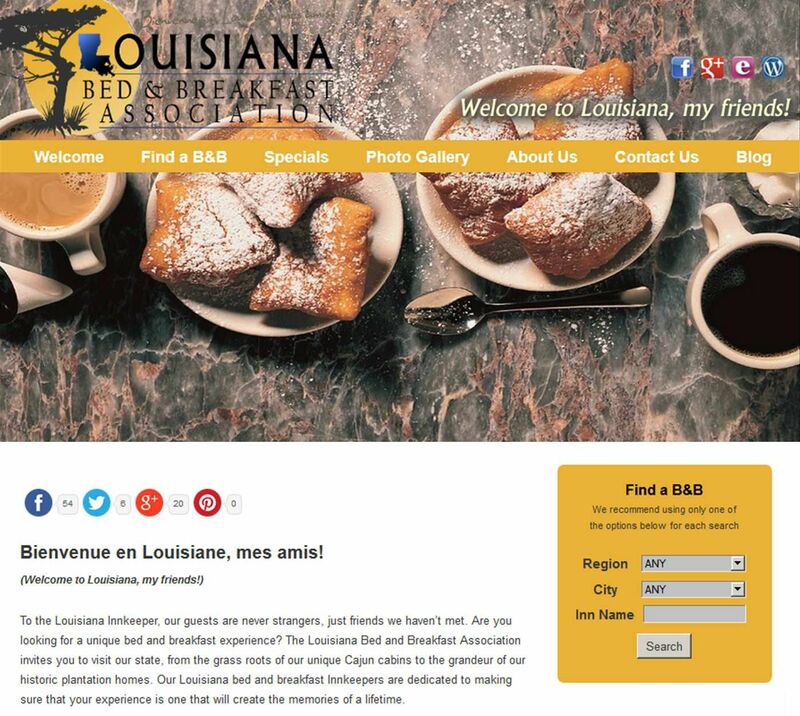 The Louisiana Office of Tourism has set up an online system to track international visitation at the state's bed and breakfast inns. Data reported by inns will be used to note trends in visitation by country and peak seasons for those markets and also will assist the Louisiana Bed and Breakfast Association in planning international marketing initiatives. To learn more about the initiative and the online data-filing system, contact LBBA president Janice DeLerno janice@thestockade. Survey participation is only open to members of LBBA. Lt. Governor Jay Dardenne will travel throughout the state during National Travel and Tourism Week to participate in activities planned by various organizations. Invite your local and state officials to your National Tourism Week related events including Lt. Governor Dardenne's bus tour stops throughout the state. Tourism related industries will join to highlight the valuable role tourism plays in contributing to our vibrant communities as great places to visit and live. These functions provide opportunities to educate officials about the importance of tourism and the economic benefits it brings to the state. For Tourism Week suggestions and resources such as logos, graphics, ideas to celebrate, talking points, facts and social media tips, click here. STS Top 20 Events for Oct. - Dec.
April 10 is the deadline for nominating events to the Southeast Tourism Society's Top 20 Events for October through December. Nominations are accepted from STS members and non-member organizations. Nominated events must be in at least the third year of existence and have an attendance of at least 1,000 people each year. Top 20 Events strongly encourages entrants to support their nominations by providing materials such as photos, posters, brochures, news releases, news clippings and volunteer programs. There is a $20 entry fee per event with two copies of the nomination form and supporting materials required. New Orleans' tourism industry welcomed 9.52 million visitors in 2014, an increase of 2.6 percent, or about 240,000 people, from 2013 (9.28 million). The 9.52 million visitors spent $6.81 billion, a 5.3 percent increase from 2013 and the highest spending in the city's history, according to the University of New Orleans Hospitality Research Center's recently released study. Two new Audubon Institute attractions have opened and two more will soon follow in New Orleans. The Audubon Zoo cut the ribbon on a 5,250 square-foot ropes course that stands 44 feet high, and the zoo's splash park will debut a winding lazy river ride called Gator Run this spring. A new fountain and infrastructure repairs were unveiled at Woldenberg Park, while a splash fountain is planned. Institute officials are hoping the new offerings will continue a spike in admissions after similar family-friendly activities launched in 2011. About one in seven Louisiana travelers were lured in by seeing the state on TV or in movies, said a recent Louisiana Film Entertainment Association study. This benefit of the state's controversial film tax credit program should not be overlooked, LFEA president recently told the Press Club of Baton Rouge. Tennessee Gov. 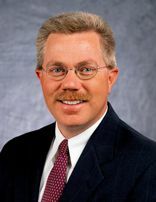 Bill Haslam has named Kevin Triplett the commissioner of the Tennessee Department of Tourist Development. Triplett is vice president of public affairs for Bristol Motor Speedway and previously worked in various roles for NASCAR. He was also a sports reporter for the Bristol Herald Courier and the Gaston Gazette in North Carolina. He replaces Susan Whitaker, who announced her departure in December. An Ontario Culinary Tourism Alliance report on recent growth in culinary tourism is now available for free through Skift.com. The report provides data on growth in culinary tourism in recent years and provides insight on DMOs abroad who are creating campaigns specific to their food and beverages with varying storylines targeting different market segments. Sagging oil prices may turn out to be a blessing for air travelers after all, despite airline pronouncements that fares won't change as long as demand stays strong. "The industry outlook is improving," Tony Tyler, IATA director general, said. "It's a highly competitive industry and consumers will see lower costs in 2015 as the impact of lower oil prices kicks in." Global luxury travel network Virtuoso recently crunched internal data and concluded that Generation X travelers are the biggest per-day-spending travel segment. The firm said the daily bill of Gen X'ers is typically $100 higher than that of seniors, millennials and baby boomers. June 16 – 18 STS Congressional Summit on Travel & Tourism, Washington, D.C. If you have comments or suggestions for future issues of Louisiana Travel Pulse, contact Jay Tusa at jtusa@crt.la.gov or 225.342.8142.